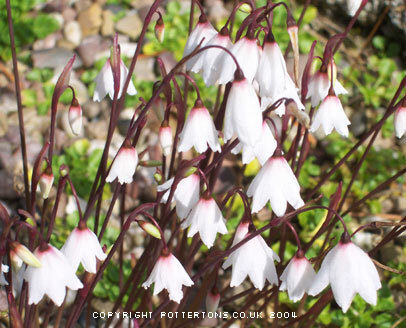 Dainty white flowers, pinkish at base, produced in profusion in September to October on short stems to about 10cm. This bulb does exceptionally well with us, increases freely and also offers much seed. Best grown in well drained soil, full sun, suitable for trough, raised bed or scree. Always much admired.